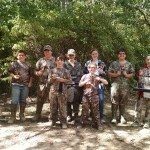 We had a nice mob of youngsters show up to participate in the 2014 Youth Day event. Way to go guys. 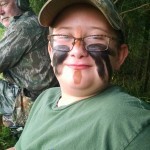 Mikey “Twig” Bedford gettin ready to can a few doves! 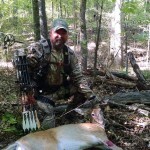 Lee Bullock with a doe taken on opening weekend of bow season. 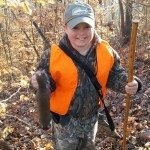 Konner Bullock bagged a small oinker during mid bow season. 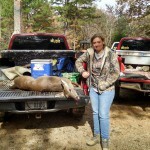 Kate bagged a nice doe during the 2014 Youth Day event. 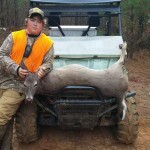 Ethan Bullock with a huge doe he bagged while off to himself during the first dog season. 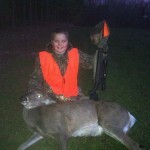 Robin Towery bagged her first ever deer! 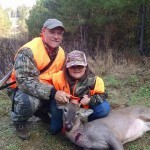 Way to go Robin! 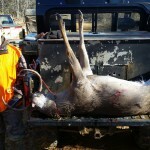 Ronnie Bullock bagged this nice six point during the second dog season. 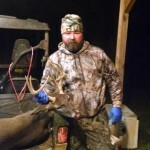 Lee Bullock took this massive nine point while still hunting near the very end of season. 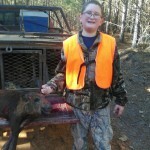 Mikey Bedford took this young hog with a knife near the end of the 2014-2015 deer season. Wow! 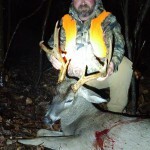 Lee Bullock took this nice eight point while still hunting during December. 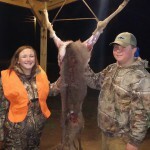 Eli Duffie took his first and second deer while hunting on the club this year. Here is number one! 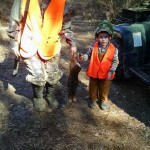 Haley Bullock, daughter of Brent Bullock, and Max Bullock, son of Jalon Bullock, with a hillbilly taken by Jalon during the late rabbit season. 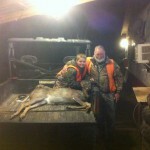 Eli Duffie and his great-grandfather, Ronnie Bullock, with Eli’s second deer for the season. 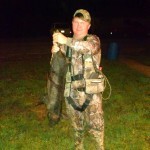 Chris Burks with his first ever hog. 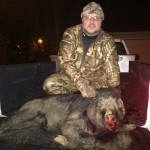 Nice oinker! 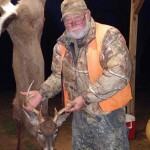 Jake Childs with a really nice buck he took while hunting with his grandfather, Ronnie Davis, during the first dog season. Way to go Jake!